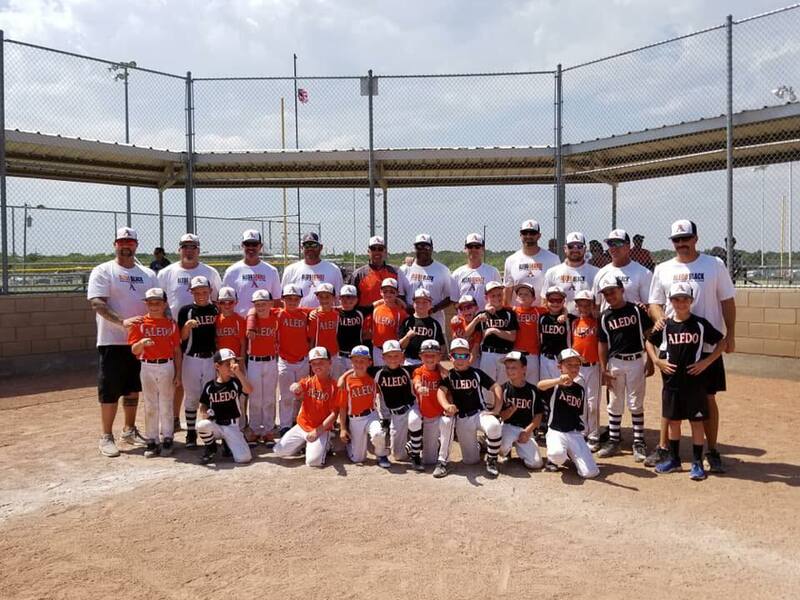 As an extension to our recreational program, All-Stars or summer tournament teams participate in a significantly more competitive environment than recreational league play. The focus is to introduce advanced tournament play versus other youth baseball leagues and/or teams. The All-Star season runs from mid-May through roughly mid-July (head coach's discretion). Tournament teams typically play on weekends and have two (2) pool play games on Saturday and then a single elimination tournament on Sunday. Coaches are encouraged to promote a healthy environment focused on advanced skills and baseball strategies. However, coaches are not required to rotate players in different positions during All-Star competition. AAI All-Star teams are selected based on the individual player's accomplishments and performance during league play. The AAI All-Star selection process selects the kids first, then the coaches. All-Star coaches are selected based on 1) whether his/her child qualified for the team, and 2) whether he/she will be a good representative of AAI. Most likely, but not in all cases, the All-Star coach will be an AAI coach from the regular spring season. At least one tournament team from each age division will be created to play in post-season play sanctioned by PONY Softball or USSSA Baseball. In divisions of six or more teams, additional teams may created. AAI players registered in a specific AAI division will only be eligible for that specific division's All-Star selections, with the exception of 8U. All-Star selections for 8U will only be considered from the 8U competitive division. For example, a 9 year-old playing up in the 10U division will only be considered for 10U All-Stars. All-Star rosters shall consist of 12 players and the Board of Directors must approve exceptions to the roster size. Each coach will be asked to help select the All-Star team(s) from the division in which they are coaching by voting for players at the end of the season. Approximately seven to 10 days before the end of the season, each Division Commissioner will distribute ballots to the coaches. Each coach should complete one ballot, ranking the top 30 players in the division, in his/her opinion. A coach may not vote for players on their team. It is imperative, in order to maintain the integrity of AAI, that each vote cast is based solely on the coach's opinion of the player's ability as a baseball player. Campaigning parents or coaches should not influence voting. ANY COACH CAUGHT CAMPAIGNING FOR PLAYERS WILL HAVE THEIR BALLOT REMOVED FROM CALCULATION. IN ADDITION, THEY WILL NOT BE ALLOWED TO COACH OR ASSIST WITH A TOURNAMENT TEAM. The Division's Commissioner will tally the ballots, assigning points to each player, from 1-30, depending on the votes received. For example, if a player is ranked 1st on a ballot, the player will receive 30 points. Players ranked 2nd through 30th will receive 29-1 point(s), respectively. After ballots are submitted and tallied, the Division's Commissioner will schedule a coaches meeting to discuss the top 30 players, as determined by the vote. The purpose of the meeting is to reach a consensus on the top 30 players, not the rank order. Each coach will then complete a second ballot, on which the top 30 players will be ranked. The Commissioner will tally these results, again assigning points from 1-30 per vote, and this vote will determine the rank of the top 30 players in the division. The top nine players in the league will make the first (Black) All-Star team. If there is a tie for the ninth position, all players involved in the tie will make the first team. The head coach for the first All-Star team should contact the top nine players to ensure that they can commit to play the All-Star season. The head coach will select additional players from the top 20 list to complete the first team roster. After the first team is selected and confirmed, the head coach shall immediately provide the roster to Commissioner notify the Commissioner of any players that declined to play. Any player declining to play will not be allowed to play on any other All-Star team that season. All remaining players in the top 30 (who did not decline to play on the first team) will be available for the second (Orange) All-Star team. The head coach for the second All-Star team will select players from the top 30 list to complete the second team's roster. After the second team is selected and confirmed, the head coach shall immediately provide the roster to the Commissioner and also notify the Commissioner of any players that declined to play; they will not be allowed to play on any other All-Star team that season. If an additional third team is formed (White), the head coach will select the entire roster from the remaining players that received a vote to be on an All-Star team. The head coach will notify the Commissioner of any players that declined to play. A fourth team (Gray) may be added when applicable at the Board of Directors' discretion per the rules above. If standard divisions (8U, 10U, 12U, etc.) are split into pure age divisions (7U, 8U, 9U, etc. ), then two tournament teams may be formed from each division. The older age division will form the Black and Orange All-Star tournament teams. The younger age division will then form the White and Gray All-Star tournament teams, if the combined division registration numbers permit extra teams beyond Black and Orange, etc. If a division has more than one All-Star team, each team must be selected and confirmed and the Division's Commissioner be notified before the next team is selected.